Tags: Hotstepper drum sequencer, Kick drum recording and mixing techniques. a. Save money on drums. b. Save time on tracking drums. c. Save space on the studio. 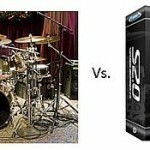 It is now hard to distinguish the difference in sound between a real drummer and this type of approach. Also, it will be 100% in timing because of the sequencing is software driven. 4. Left and Right Mid tom. All of this are possible to produce,thanks to the use of Hotstepper Drum Sequencer. This is a freeware courtesy of Christian Knufinke. 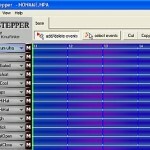 Please try to download Hotstepper, so you can try the demonstrations below. To open the archive, you need RAR software. You can download it on that link that I provide. 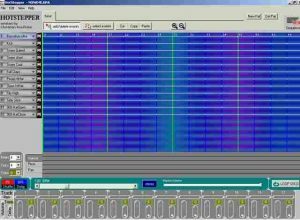 Update September 23, 2011: You can read this tutorial on adding new drum sounds to your Hotstepper library. Today in 2011/2012, there is a lot of great drumming software that you can use to produce a much better sounding drums than Hot stepper. I would recommend checking out Superior Drummer by Toontrack. 1.) 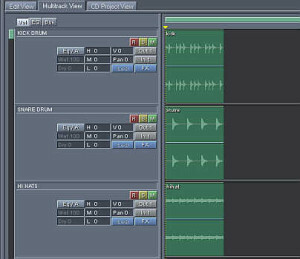 Ability to integrate in your existing DAW easily such as Reaper digital audio workstation software. 2.) 24-bit drum samples (HotStepper does not have 24-bit support only 16-bits so the quality is not good) for near analog recording sound quality. 3.) Tons of brilliant drum tone presets by professional drummers and producers in the recording industry. – The conversion process can be lengthy depending on the complexity of your drum loops. 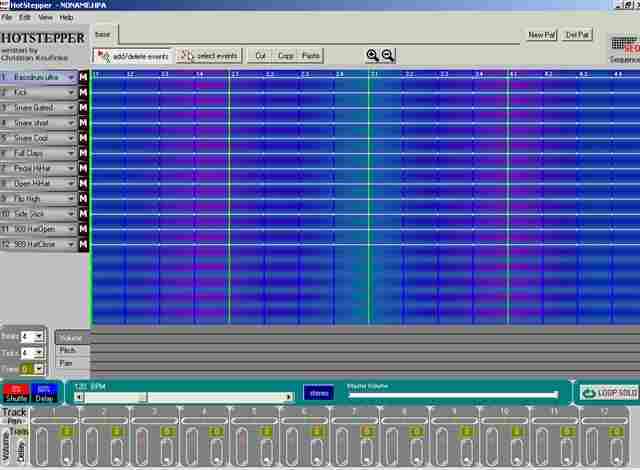 In this tutorial, you will learn how to convert your HPA file (Hotstepper drum sequencer) into a 32-bit float/96KHz WAV which can be used by your multi-track recording projects. 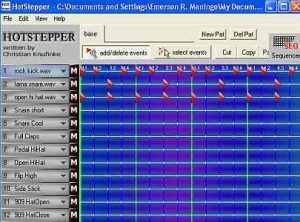 Since the purpose of Hotstepper is to compose and arrange drum sequence loops, it still needs to be converted into a high resolution WAV file for it to be added to your project. If you see an error when opening the hpa pattern files on any of those downloads; it is most likely that you do not have the correct drum parts saved in your Hotstepper library. You need to specify correct filename as used by the downloaded pattern example (e.g. rock kick.wav, tama snare.wav, etc).You can get these real drum sounds in any professional drum recording studio or in your own acoustic drums. 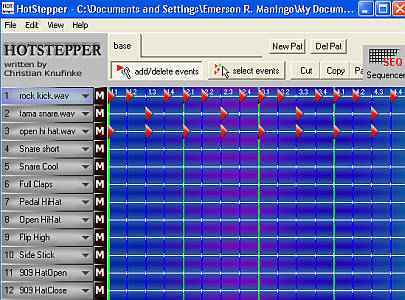 Once you have finalized the sounds and added it to the Hotstepper library, you can reuse it many times in your projects without needing to go to the recording studio anymore. You can also assemble unlimited amount of drum loops/sequences using the same real drum sound samples you added in the library. 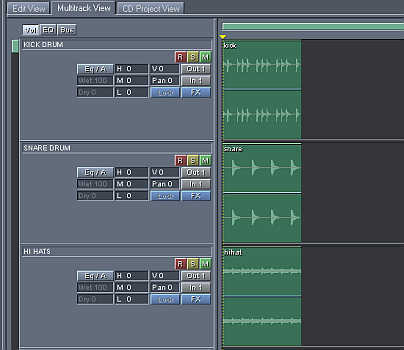 As you can see, only rock kick.wav has the red triangles and the rest (snare and hi hats) has been removed. Now it’s the right time to go to “File” – “Write pattern wav” and click “Select File and Write”. Name the wav file as “kick.wav”. Go to “File” – then “Quit”. When you see the message “Do you want to save before continuing?” Be sure to click NO (Very important so that your loop that is saved will not be overwritten). Save it to a newly created folder. Name the folder as “drums” so that it will contain all isolated drum track WAV files. Now take a listen to the newly created kick.wav; you should only hear the kick drum part in the wav file and no snare/hi hats. This implies you have completely isolated the kick drum part from the HPA file. Now the snare parts are isolated; export it as WAV file (using the same saving procedures mentioned previously) and named it as “snare.wav”. Close the Hotstepper and never forgetting to click “NO” when “Do you want to save before continuing?” shows up. 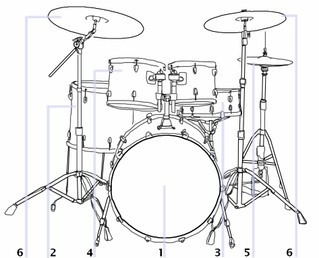 You now have 3 wav files for your drums (kick, snare and hi-hat). However Hotstepper will only export it as 16-bit/44.1KHz which is not optimal for mixing. You need to convert it to 32-bit float/96KHz (or to whatever bit depth and sample rate you used in your mix). 1.) Download this bit depth and sample rate converter. R8brain is also free. 3.) In the “Output bit depth” change 16 bits to “32 bit float”. In the quality, select “Very High”. 6.) Finally click “r8brain batch” button. 7.) Go to your “drums” folder. You will see newly created files for example “hihat.wav.orig”, etc. These are your OLD drum wav files in 16-bit/44.1KHz format. The newly converted wav files are still using the old filename but with new bit depth/sample rate. 1.) Open your multi-track software. As you have observed, the tracks are clearly isolated to each other so you can apply dedicated effects to each one of the drum parts. Finally you have completed converting your HPA (Hotstepper) file into a high resolution wav file. It is now been added to your multi-track recording project.